Okay, I’ll state this up front: I’m probably not going to use this approach in my own engine because of many issues inherent with Variance Shadow Mapping. However, I think I did end up with some interesting results to play with, so if VSM with fixed penumbra sizes (or just for filtering) is working well for you, the article may still be useful anyway. Further worth noting is that most soft shadow articles discuss point lights, so I’ve done things with directional lights. 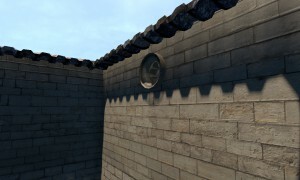 If you need an introduction to Variance Shadow Maps, I recommend Andrew Lauritzen’s classic article in GPU Gems3: Summed-Area Variance Shadow Maps. It also contains a technique for very nice precise soft shadows. So, yeah, VSM uses probability theory to estimate whether or not a point is in shadow. Groovy! 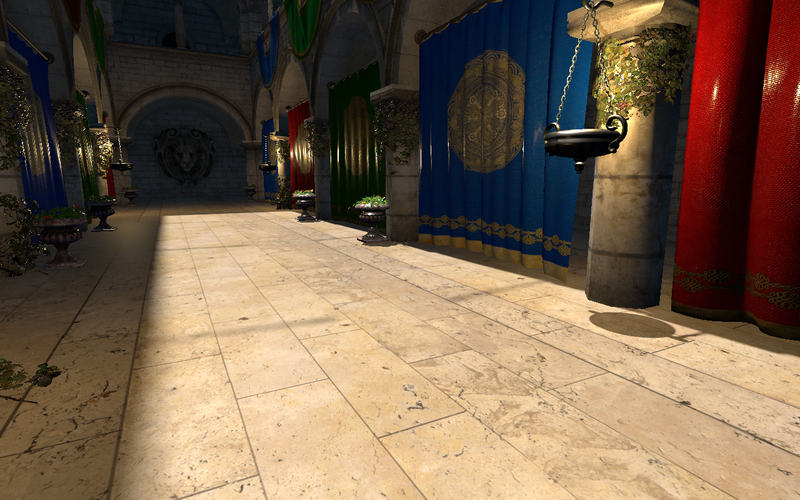 Unlike standard shadow mapping, this allows for texture filtering the same way regular texture sampling does (bilinear/anisotropic sampling, mip-mapping, etc), and you can use anti-aliasing while rendering the shadow maps. What’s more, the shadow maps can be pre-filtered with a separable blur. This way we can eliminate jaggies using a small filter kernel, or create very soft shadows (with a fixed penumbra size) using a larger kernel. Using mip-maps: sample the mip-levels since they already contain further filtered data. By default, this starts looking very boxy with larger penumbrae. To alleviate this, you’d have to generate the mip levels with more expensive filtering (more or less like blurring the mip-maps as you’re generating them). Using Summed-Area Tables as in the GPU Gems article, resulting in very high-quality results. You can generate SATs like this: “Hensley : Fast Summed-Area Table Generation and its Applications”. Armed with this, any convolution using a SAT just takes 4 texture samples. 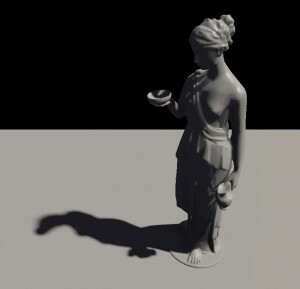 Either way, you end up pre-filtering the shadow maps, the cost of which is dependent on the amount and resolution of the shadow maps (cubic shadow maps, different cascades for directional lights, etc…); not something I wanted to spend too much frame time on. So instead of pre-filtering, I wanted to try and combine it with “post-filtering” in the lighting shader in a way similar to PCSS but without the crazy amount of samples. However, a standard mip-map chain still needs to be generated. Test the shadow map to find the percentage (or in our case: probability) of occluders in the penumbra region. This one is exactly the same as for PCSS with an exception for directional lights. If actual directional lights would exist, there would be no penumbra. After all, all light rays are parallel! Also, the traditional PCSS way of back-projecting makes little sense either because the light doesn’t have an actual position in space. To get some handle on it, we’ll settle for a fixed search area instead. // Really, mipLevel would be a passed in as a constant. We calculate the penumbra size in the same exact way as in the PCSS. For directional lights, this again doesn’t hold up very well (ah you missing light position!) Instead, we can simply use the distance to the average occluder as a scale factor instead. It’s fun when things get simpler! Not only does this give us a better estimate, it also reduces the noise from the random rotations because samples are expected to differ less. And what’s more, we don’t have to take all that many samples, even for quite large filter sizes! Another way of looking at this approach is as blurring the mip levels in the lighting shader – just enough to remove the jaggies – instead of doing so on the shadow map directly. 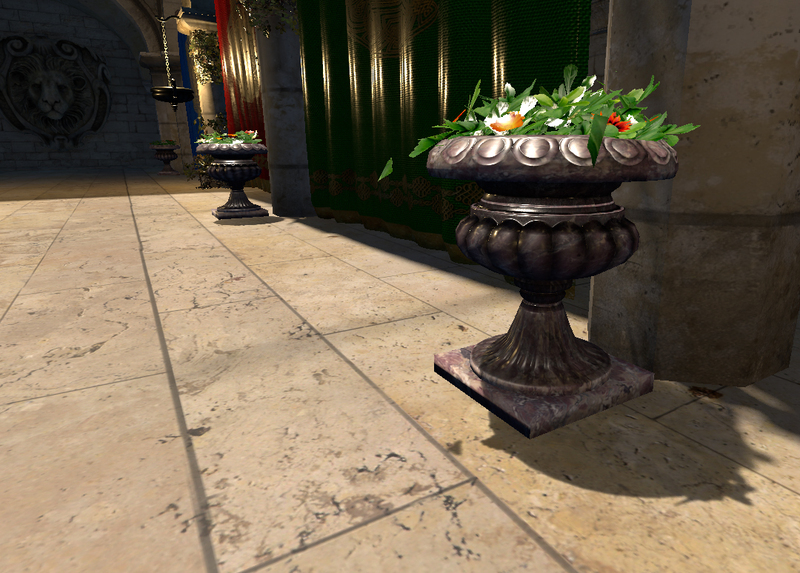 As usual with soft shadows, there’s an issue with sampling outside the shadow map boundaries. For this reason, it may be required to extend the shadow maps to accommodate the largest penumbra size (our “lightSize” value). You might also want to keep the light size within certain limits so that most of the shadow map usage isn’t just there to provide the area not on the screen. Note the difference between the vase’s shadow and that of the distant flag pole next to it. Light leaking: while this can be ameliorated easily, but not completely avoided, solutions have a strong impact on the softness of the penumbra, destroying some of our hard work. Thin caster leaks: the closer a point gets to the occluder, the smaller the upper bound becomes (as it’s less and less likely for it to be in the shadow). This creates severe light leaking close to thin casters. But, again, VSMs have been used with success in the past, so who knows this article still may be of use to someone. You might run into other problems too, if you’re up for pursuing this. And perhaps VSMs could be used only to perform the area search, and PCF sampling for the occlusion tests, which should remove any light leaking problems. Anyway, I’m up to receive any ideas, comments or poisonous arrows!